The impact it had on me was so great I literally withdrew myself from society. I stopped everything I was doing both work and personal wise and focused on this full time for the next ten months… full time meaning from dawn to dusk, 18 - 20 hour days researching and testing on myself. 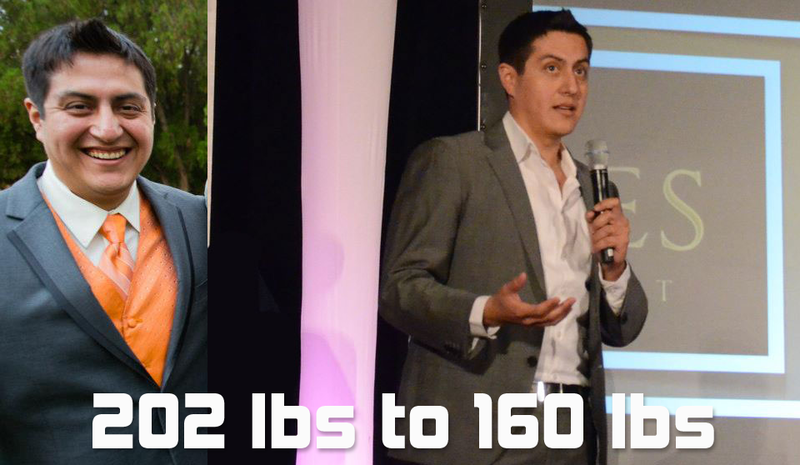 By the end of my initial research I went from 202 lbs to ~160 lbs… I say initial because a lifetime won’t be enough to discover everything there is to know so this is really just the beginning. Now, I want to clarify that this isn’t about losing weight… it’s about living a healthier lifestyle… being lean is simply a byproduct of being healthy, but losing weight is only an indicator not the end all be all. Just because you have breakfast, lunch and dinner it doesn’t mean you are properly feeding your body or that it is YOU who is really eating. Nourishing your body and eating are not the same. It’s WHAT you feed your body that matters… but not just ‘what’ also ‘how’ you prepare what you feed your body can have an impact. I can’t emphasize enough that when you eat, you are feeding your individual body cells, bacteria, yeast and fungi. It’s a whole ecosystem that makes up YOU. If you have a car, but the transmission doesn’t work, that can render the car useless for transportation. Your body acts the same way, you need to be able to make sure that all living creatures inside you are good and healthy. When one part of you goes wrong the entire system begins to fail. The first step towards healthy living is to make sure the population of friendly flora (good, friendly bacteria, yeast and fungus) thrives inside of your body and minimize the population of bad bacteria, bad yeast, bad fungus (cancer type cells). A healthy person eats foods that promote the growth and well being of friendly flora or bacteria, which eats up the bad bacteria and protects you. When you increase the population of friendly gut flora you increase the strength of your immune system. Unhealthy people tend to eat foods that promote the growth and well being of BAD bacteria, which in turn starts to eat both the good bacteria and you. That bears repeating since it should be your biggest motivator to make better food choices. Bad bacteria eats good bacteria and it eats YOU. This was a big eye opener for me since it never occurred to me that eating ‘bad’ foods could turn my body cells (ME) into food. 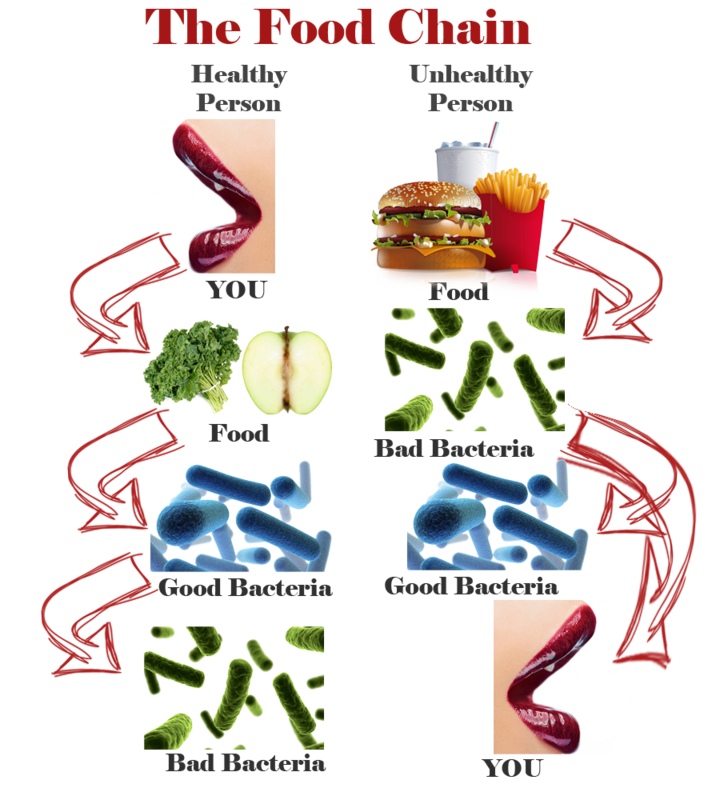 Most people don’t realize they are feeding bad bacteria and that their body cells are becoming food for bad bacteria. Worse, many don’t even want to admit it. The best thing about freedom is that you get to make your own choices. The hardest part about it is taking full responsibility for the outcome. It’s important to understand how this website was created and what your role should be, because like me you have a choice. I had the choice to simply follow the path of least resistance, go to a doctor, take the prescriptions given, go through the therapy needed and be done… but there was a fundamental problem with this ‘easy’ path… through modern day medicine I wouldn’t have been cured, my symptoms would have been simply treated and controlled, and I would be just as sick if not worse. The reason I decided to go a different route was because doctors are trained to diagnose disease and prescribe medicine. There are very few doctors who actually understand health and even less that actually project their own health. They focus on disease. I wanted to focus on health. I therefore decided to seek out information from people who also focus on health, and better yet, who actually project their own health. You have a choice to believe that modern day medicine has your best interest in mind or believe that there are far better options for you. You have a choice to either take the easy path or the road less traveled. It’s one thing if you don’t know what you need to do in order to be healthy. It’s another to actually know and still decide to not do anything about it. • Everyone’s physiology is slightly different and when it comes to health and nutrition, things that work for one person may not work for another. Even though I CHOSE not to follow the advice of doctors, that doesn’t mean I didn’t consult them. Ironically I found myself being the one talking to them about how to be healthy and it was them who suggested I write a book. I had one advantage… the epiphany I had was better health comes when you grow the population of good bacteria, yeast and fungi in your body. I had been precisely growing yeast, bacteria and fungi to make beer, kombucha, and fermented foods like sauerkraut and others. The concepts that applied to making lacto-fermented foods, kombucha, beer, and the concepts needed to be healthier are the same. I simply began to connect the dots. Read Our Book (1st Edition) for Free!